60's to 80's influenced melodies with relatable lyrics for today's world. Mia Suzanne Walker on the keys. 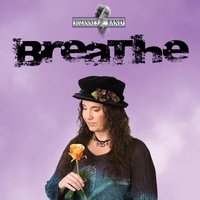 The detailed lyrics from the haunting emotionally charged song Breathe to the upbeat, catchy One From Two, stick in your head and your heart leaving you hungry for more. More than 40 years of combined music experience brought this dish to the table at just the right time so pull up a chair and just Breathe it in.